A Wobbler is a kind of deferred sentencing alternative where the case is charged and a plea is entered as to a felony – but the plea agreement has the capacity of “wobbling” down to a misdemeanor. The “wobbler” provisions of C.R.S. 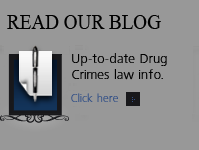 Section 18-1.3-103.5 provide that, if a Defendant qualifies and is offered a Wobbler – after that drug offender successfully completes a probationary sentence, the drug felony conviction – usually a Class 4 Drug Felony – will be reduced to a drug misdemeanor conviction for certain offenses. Once the charge is reduced from the felony, it is considered a misdemeanor and the significant “collateral consequences” that result from a felony conviction, (such as having to disclose the conviction on job applications or the loss of the right to bear arms because of a felony conviction), are removed. The statute contains a single legal mandate: if the Defendant successfully completes his sentence to probation or community corrections, the Court MUST substitute a misdemeanor conviction for the original felony conviction. Obtaining a controlled substance by fraud or deceit in violation of 18-18-415 C.R.S. 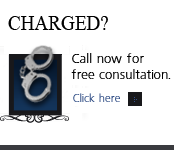 You have two or more prior felony convictions for a drug offense anywhere in the United States or a U.S. territory. 2.Any conviction entered as a result of relief previously granted pursuant to this section or as a result of a guilty plea to a misdemeanor originally charged as a felony drug offense. How Long To Wobble Down From A Felony To A Misdemeanor? The relevant law – 18-1.3-102 C.R.S., allows the Judge to defer sentencing on certain felony drug charges for up to four years after a plea or a finding of guilty. The delay is to give the Defendant time to complete a drug-treatment program. 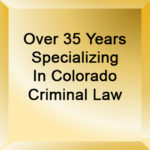 • Enter a conviction for Colorado level 1 drug misdemeanor drug possession under 18-18-403.5 C.R.S. The Wobbler statute, as noted above, contemplates that vacating the original felony conviction will occur only after successful completion of the defendant’s sentence to probation or community corrections and without a sentencing hearing. The Wobbler law does not provide for a “procedural mechanism” for re-sentencing a Defendant who complies with the Wobbler law. The Judge determines “without a jury” and with “notice to the district attorney and defendant” whether the Defendant has successfully completed his community-based sentence, and then vacates the felony conviction. § 18-1.3-103.5(2)(b). 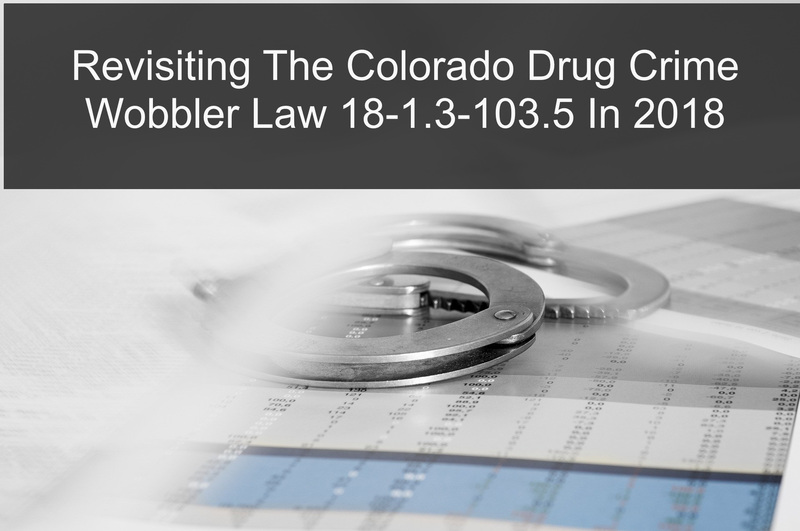 As of 2018, the Colorado Wobbler Law is less than 5 years old. When, on October 1, 2013, CRS 18-1.3-103.5 (The Wobbler Law) became effective. Every Colorado Judicial District generated only When an eligible Defendant is sentenced to and successfully completes a community-based sentence for an eligible offense (generally DF4 drug felony offenses), the felony conviction is vacated and the conviction is re-entered as a DM1 drug misdemeanor. The Colorado Ninth Judicial District – Glenwood Springs has issued the following Chief Judge Directive that nicely outlines the common steps to comply with this statute. The protocol below is followed for those Defendants who are eligible (see CRS 18-13-103.5 (4) (a),(b),(c)(I), (c)(II)). A. Upon entering a community-based sentence, the court shall set a review date approximately one month before the projected time a sentence will be completed. A. If the defendant is placed on supervised probation or sentenced to Community Corrections, the 9th Judicial District Probation Department shall complete a report as to whether the sentence has been successfully completed, including successful completion of court-ordered treatment and other terms of supervision. B. If the individual is on unsupervised probation, the District Attorney shall complete a report as to whether the individual has successfully completed the community based sentence. C. The defendant may also file a report addressing successful completion. D. The above report(s) shall be filed not less than seven days prior to the review date. E. The Defendant need not appear on the review date unless ordered to do so by the Court. If any party desires a hearing on the issue of successful completion, the party shall make the request for a hearing by inclusion of such a request in a report timely filed as set forth above. If the Court determines a further hearing is warranted, whether upon the motion of a party or upon the Court’s own motion, the hearing shall be scheduled on a date after the review date as determined by the Court with notice to the parties. III. Whether a sentence is successfully completed shall be determined by the court as per CRS 18-1.3-103.5(2)(b). A. If the court determines that the defendant has successfully completed the community-based sentence, the Court shall order the DF4 conviction be vacated and a DM1 conviction be entered in accordance with CRS 18-1.3-103.5, unless the defendant is otherwise ineligible for relief as provided in CRS 18-1.3-103.5(4). B. If the Court determines that the defendant has not successfully completed the community-based sentence, the DF4 conviction shall remain as is without modification. (1) In order to expand opportunities for offenders to avoid a drug felony conviction, to reduce the significant negative consequences of that felony conviction, and to provide positive reinforcement for drug offenders who work to successfully complete any community-based sentence imposed by the court, the legislature hereby creates an additional opportunity for those drug offenders who may not otherwise have been eligible for or successful in other statutorily created programs that allow the drug offender to avoid a felony conviction, such as diversion or deferred judgment. (2)(a) In a case in which the defendant enters a plea of guilty or is found guilty by the court or a jury for a crime listed in subsection (3) of this section, the court shall order, upon successful completion of any community-based sentence to probation or to a community corrections program, the drug felony conviction vacated and shall enter a conviction for a level 1 drug misdemeanor offense of possession of a controlled substance pursuant to section 18-18-403.5 . Upon entry of the judgment of conviction pursuant to section 18-18-403.5 , the court shall indicate in its order that the judgment of conviction is entered pursuant to the provisions of this section. (b) Whether a sentence is successfully completed shall be determined by the court without a jury with notice to the district attorney and the defendant or the defendant’s attorney of record. A community-based sentence is not successfully completed if the defendant has not successfully completed the treatment as ordered by the court and determined appropriate to address the defendant’s treatment needs. (a) Possession of a controlled substance; but only when the quantity of the controlled substance is not more than four grams of a schedule I or schedule II controlled substance, not more than two grams of methamphetamine, heroin, ketamine, or cathinones, or not more than four milligrams of flunitrazepam. 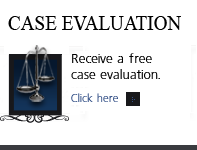 The district attorney and defendant may stipulate to the amount of the controlled substance possessed by the defendant at the time of sentencing, or the court shall determine the amount at the time of sentencing. (d) A violation of section 18-18-415 . (c)(I) The defendant has two or more prior felony convictions for a drug offense pursuant to this title, or a crime in another state, the United States, or any territory subject to the jurisdiction of the United States that would be a drug offense violation of this title. (II) For purposes of this paragraph (c), a felony conviction includes any diversion, deferred prosecution, or deferred judgment and sentence, whether or not completed, for a felony, and any conviction entered as a result of relief previously granted pursuant to this section or as a result of a guilty plea to a misdemeanor offense, as described in article 18 of this title, originally charged as a felony drug offense, as described in article 18 of this title.